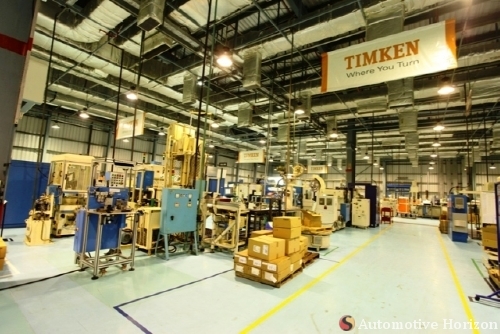 Timken India Ltd has said that its Board of Directors on January 14 had considered a public issue, private placement or a combination thereof, of up to 42,65,134 equity shares of the company. The decision of TIL appears to be to comply with the SEBI rule on minimum public shareholding of 25 per cent in the equity holding of companies listed in India by June this year. In a communication to the stock exchanges, TIL stated that any decision on the proposal and the timing was dependent on market conditions and on securing the requisite approvals. The company also came out with a caveat that there was no assurance that it would go ahead with the proposed Issue. While the promoter’s stake in the company was at 80.02 per cent, FIIs held 1.22 per cent, DIIs 1.28 per cent and others held 17.48 per cent in the Rs 63.72 crore equity of TIL at the end of Sept 2012. Interestingly the FIIs had pared their stake from 1.73 per cent at the end of March 2012 to 1.17 per cent in June only to increase it marginally to 1.22 per cent in Sept 2012. But DIIs have consistently been trimming their holdings- from 2.57 per cent at the end of March 2012 to 1.35 per cent in June and to 1.28 per cent in Sept 2012. However, others including individual investors have gradually hiked their stake from 15.68 per cent in March last year to 17.46 per cent in June and to 17.48 per cent in Sept 2012 despite the gradual decline in the share price from a high of Rs 269 on April 17 last year to the today’s closing level of Rs 192.80 on the BSE. Timken India Limited was originally started in 1987 as Tata Timken Limited (TTL), a joint venture between Tata Iron and Steel Company (TISCO) and The Timken Company, USA and commercial production began at Jamshedpur in March 1992. While TISCO and TIMKEN each owned 40 per cent stake in the company’s equity, the public owned the rest. In 1999, Timken acquired Tata Steel’s 40 per cent stake in Tata Timken Limited which was renamed as TIL. The company has sales offices in Kolkata, Delhi, Bangalore, Pune and Jamshedpur. It manufactures and trades in bearings and related components, according to company web site.